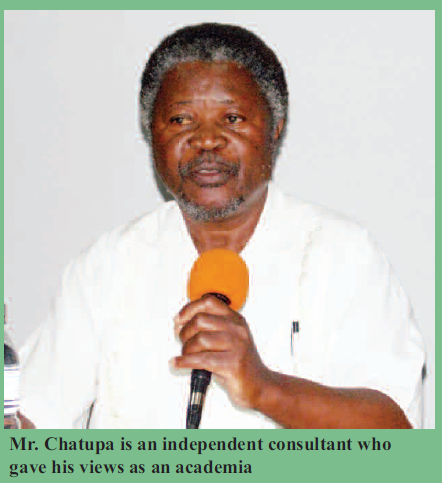 The piece “Malawians engage experts in mining and human rights round table discussion: as panellists clear misconception over mineral sample exports” featured below was initially published in Malawi’s Mining Review Issue Number 24 2015 that is circulating this April 2015. 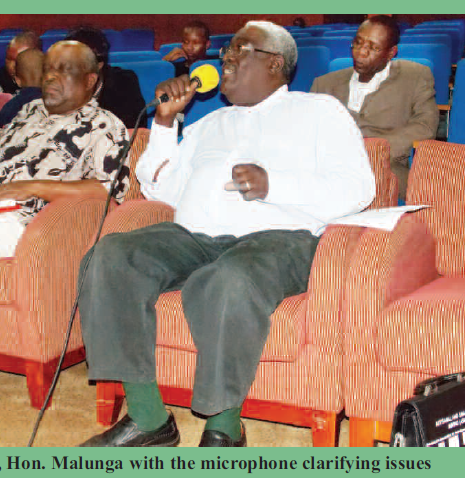 A cross section of the Malawi community had a rare opportunity to engage mining experts on topical issues rocking the growing minerals sector during a live public discussion on Zodiak Broadcasting Station that was held on March 20, 2015 at Crossroads Hotel in Lilongwe. The event was organised by non-governmental organisations that included ActionAid Malawi, Citizens for Justice (CFJ) and Centre for Environmental Policy and Advocacy with funding from Tilitonse Fund. The panellists included a member of the civil society (Mr. Emmanuel Mlaka from LandNet), a government official (Mr. Jalf Salima from Geological Survey Department), traditional leaders (Inkosi Mabulabo from Mzimba and Group Village Headwoman Namalima of Phalombe) and an independent mineral sector consultant (Mr. James Chatupa). In the live programme, the panellists answered questions from members of the audience and also listeners of the popular radio station who sent the questions to the moderator of the discussions, Veteran Broadcaster Owen Lupesya through text messages. Hot on the issues was the export of mineral samples by exploration firms as members of the general public questioned how secure is the process of exporting mineral samples for processing outside the country doubting that some unscrupulous mineral explorers can take advantage of the process to smuggle the country’s precious minerals. The questions at the public discussion held at Crossroads Hotel in Lilongwe, therefore, focused much on the quantity of mineral samples that are legally acceptable for analysis as well as the experiences and expectations of the general public relating to mineral exploration activities. The experts who included representatives of the Ministry of Natural Resources, Energy and Mining, nonetheless, cleared misconceptions surrounding how mineral samples are collected and exported for analysis. Kaphwiyo took time to enlighten the audience on the rigorous checking that government make on samples that an exploration firm takes outside the country for analysis. He explained that samples have to go through vetting by three government institutions which include Geological Survey and Mines Department as well as Malawi Revenue Authority (MRA). 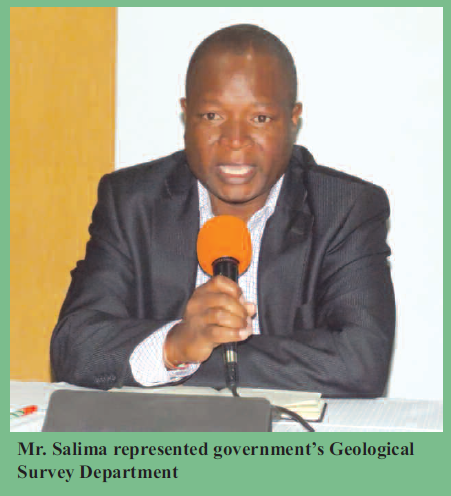 Director of Geological Survey Department Jalf Salima commented that firms take samples outside the country for analysis as part of their exploration work because Malawi does not have a certified laboratory where analysis for mineral samples can be done. Furthermore, the Geological Survey Department director explained that the investors’ purpose of doing the analysis is to determine whether their investment can be recovered. Also joining the discussion was Former Minister of Natural Resources, Energy and Environment, Honourable Grain Malunga, who is an expert in mining and environmental management. He explained that mineral sampling can even take seven to ten years before actual mining is commenced and the members of public need not to be suspicious of any underhand dealing on the part of investors. 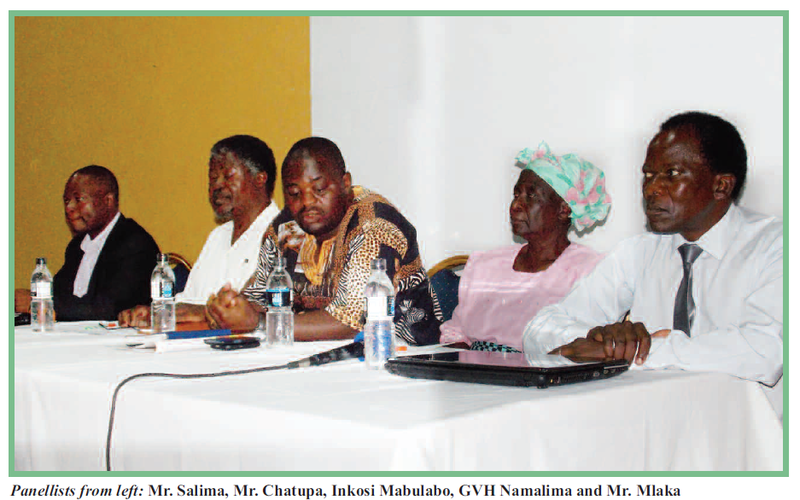 The two traditional leaders present, Inkosi Mabulabo and GVH Namalima also aired their concerns, among which, was lack of proper information from government as regards the mining activities that are taking place in their respective jurisdiction. The other issue raised at the meeting was the alleged tendency by some mining investors of disregarding proper procedures when entering into areas to commence mineral exploration. said the emotionally charged Mabulabo, with Namalima, who sat next to him nodding in total agreement. 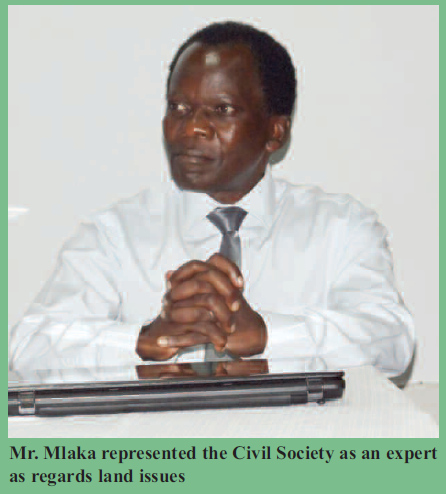 Noting the chief’s concerns, Executive Director for LandNet, Mr. Mlaka, an expert in land issues acknowledged the existence of the problem, but was quick to blame it on the delay to the tabling and passing of the amended land bill, which he said could helped address all these issues, since it clearly stipulates appropriate procedures if an investor wants to use traditional land. The event attracted a multitude of questions which could be an indication that more and more people are getting interested in mining issues in this traditionally agricultural country. This could auger well with the objective of the of the event, which was to discuss the governance elements and practices that needs to be strengthened, revised or adopted into the current governance system in order to enhance responsiveness, inclusiveness, transparency, accountability and respect for human rights in the mining sector.